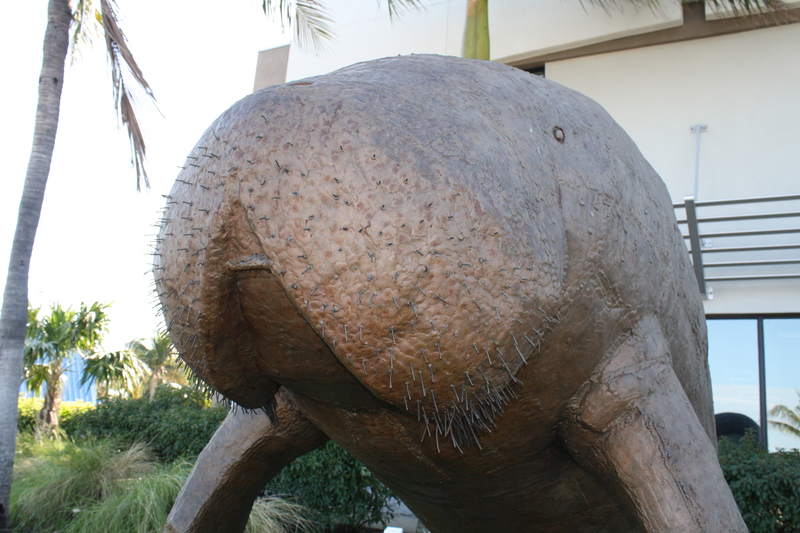 Welcome to Key West’s land loving friendly manatee. This 8′ tall statue sits on a concrete pad facing the main road into Old Town for all to admire. I recommend that you take 4-minutes out of your already busy planned day and stop for an up close visit with this silent gentle giant. Upon closer inspection you’ll find that its whiskers, whose numbers are in the hundreds, are actually rigid and the exact thickness of a heavy-duty clothes hanger (as seen below). Now for your FREE science/history lesson: 🙂 Manatees are large, fully aquatic, mostly herbivorous marine mammals with paddle-like flippers sometimes known as Sea Cows. They are noted for their friendly nature, their large size up to 12 ft in length with the average being 9 ft. The name manatí comes from pre-Columbian people of the Caribbean meaning “breast”. 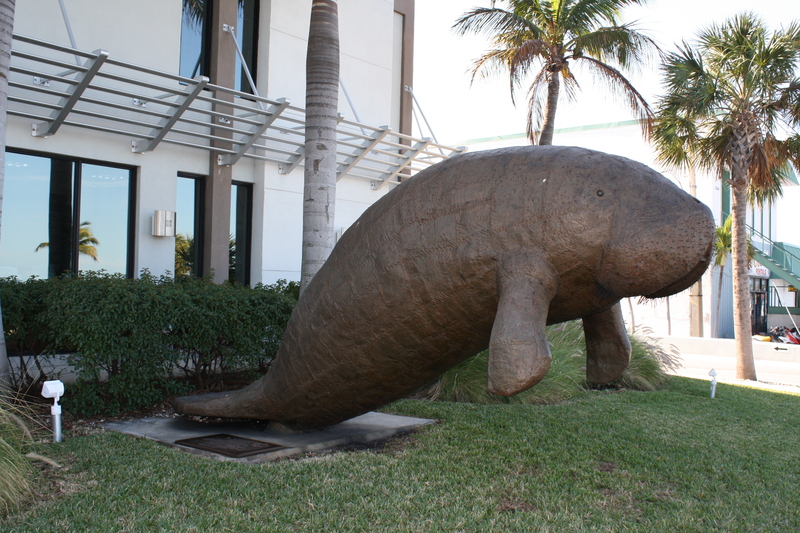 You can find the Florida Key’s largest Manatee statue on display 24-7 in front of the First State Bank at the corner of North Roosevelt Blvd. & Toppino Drive on the left hand side of the road as you enter Key West. So where’s the best place on US-1 in the Florida Keys to have a chance of seeing a Manatee? 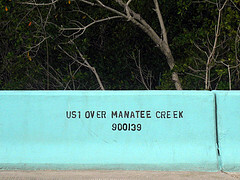 Well that’s easy, it’s Manatee Creek at Mile Marker 112.8 as posted on the side of the bridge. 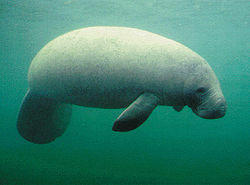 Manatees are large, fully aquatic, mostly herbivorous marine mammals with paddle-like flippers sometimes known as Sea Cows. They are noted for their friendly nature, their large size up to 12 ft in length with the average being 9 ft. The name manatí comes from pre-Columbian people of the Caribbean meaning “breast”. US-1 of course is very busy so be safe and park your car close to the near by marina on Morris Road and walk to the edge of the creek NEVER crossing or getting on the busy road itself! This of course is FREE.